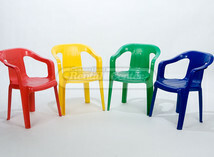 Need Chairs for your next party or event? 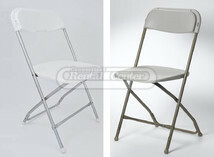 We've got the Chairs rentals you've been looking for. Browse our selection below. 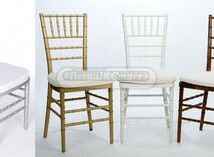 Chair Rentals in CT - Visit CT Rental Center to rent chairs for your wedding - or any special occasion. 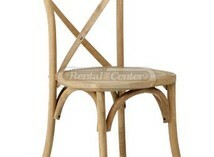 We have a wide selection of chairs available for you to rent. "I just wanted to thank you so much for all the help you and your team provided in planning our daughter's wedding. From our first meeting and then the walkthrough you guided us with expertise and suggestions to make the event a success. Both my husband and I received so many compliments on the tent, the lighting, the bar and the wine barrels that we used as cocktail tables- all these elements combined helped to create the unique setting that my daughter had wanted! I also wanted to let you know that the team you sent for set up and break down couldn't have been more professional. They worked efficiently together and were so professional. They represent your company well! Thank you again- I will certainly will be calling you again for our next event!" "Connecticut Rental Center came highly recommended from many of our vendors, so we ventured there, feeling totally overwhelmed with the prospect of planning every detail of our wedding. Cathie Giuffrida greeted us at the door and we had an instant connection, she "got us" she made us feel at ease and walked us through each decision with precision. We were blown away by her compassion, ideas and helpfulness. It truly felt like we were working with a sister who was highly invested in our special day being magnificent. There was a wide variety of really cool items to customize our day from the large farm tables, benches, red velvet sofa to the vintage salt and pepper shakers! Cathie even spoke with us after the wedding and told us she was praying for good weather for us that evening. Thanks in large part to Cathie and her incredible partnership with us, our day was everything we dreamed it could be. We could not have done it without Cathie and Connecticut Rental Center." "Connecticut Rental does much more than just tents, and they do it all exceptionally well. They are that rare (these days) business that is also your neighbor, with a level of service that is absent in the "Monster/Mega/Big Box" retail service world." "I have been renting from CT rental for decades. From tents, tables, and chairs to sanders, rototillers, power washers, the set up (when needed) was always fast, efficient, and friendly, Tom, Bob, & Sal know the business inside out. The directions are ALWAYS crystal clear, and if there was ever any confusion, a quick call always cleared up the questions." "CT Rental is a great establishment with which to do business. Tom always seem to have whatever I need whenever I need it for a reasonable price. Thanks!!" "Had excellent experiences doing business with ct rental!!!!!" "We wouldn't think of calling anyone else....they helped us plan our daughter's wedding and even included things that we never thought about. It was a cool day, so they even provided heaters under the tent. It was outstanding." "Tom and the entire staff at Ct Rental are exceptional people. Service is expert and quite friendly. I use them all the time!!!" "Connecticut Rental put up a beautiful tent for my wedding and also supplied the tables and chairs, tablecloths, dance floor, etc. I have to say it was the most perfect day of my life. Everything was beautiful and the people who delivered and set things up were efficient, polite and made it all look fantastic. We didn't have to worry about a thing and could enjoy ourselves! I still get positive comments from our guests." "CT Rental is the BEST!!! They are efficient, prompt and their customer service is outstanding. I would highly recommend their service." "Fantastic service, supplies and customer service. My party was spectacular, and I owe it all to CT Rental!" 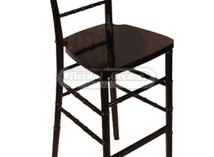 "I have used CT Rental for all of my parties. Their crew is delightful and professional. Their staff is knowledgeable and very helpful. Joanne had many wonderful suggestions for my daughter's wedding and, as a result, her day was perfect. Tom is always helpful and very knowledgeable. We had my sister's wedding at our home and everything was picture perfect. Overall, it has always been a great experience to use CT. Rental." "The Event Planners at Connecticut Rental can do some pretty amazing things to make any event memorable. Just call, tell them what you need, then sit back and get ready to enjoy YOUR Party." "CT Rental provided everything we needed for our outdoor engagement party. The tables and tents were decorated beautifully, and we stayed dry even in the pouring rain. I recommend them to everyone!" "These guys are the best! We have used them for our Relay For Life event for many years. Can't say enough good things about them!" "What a great company. Excellent management, caring and highly ethical." "Has just about anything you need!" "Every time I go there I'm greeted by the nicest people. It is by far the most immaculate and impressive show room I have ever seen. Another reason I travel father to get to CT Rental Center in Middleton is because their rates are so much better than all of the others I've checked out for the same equipment. Plus they have such a huge storage area and I believe that's why their equipment is always like new. They also have huge hangers for their tents to dry before they put them away. 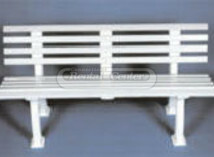 Highly professional, quality company with really nice people too." 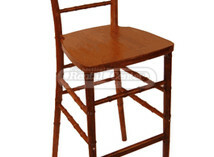 "This company was great at getting me last minute chair rentals (less than 24hrs) for my rehearsal dinner when my first set didn't work out. The team was able to drop off and pick up within my desired time windows even on short notice!" "The team at CT rental Centers was wonderful to work with. Their products were in perfect shape for the event, they were able to make any and all adjustments base don our preferences for the wedding and were able to make suggestions based on details of the venue (a farm), number of guests, and the vibes we wanted for the evening!" "Joann did a great job at explaining what would best suit our needs. She also added in some suggestions for decorating without breaking the bank. The tent was beautiful! The crew that did the set up was wonderful. Especially since our side yard is not as flat as it seems." "They were very helpful and affordable, and provided be with great table runners in 2 very bright colours." 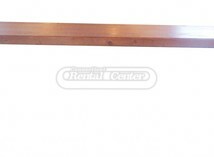 "CT Rental Center was awesome, to put it lightly. They accommodated several special requests and were quick & efficient with the setup of our rentals. We had to basically arrange for a small village to be built on our wedding property and they provided excellent customer care. Just when I figured we'd rented everything we could, they stepped up and supplied exactly what we needed as if we were their only event that weekend. And I'm certain we weren't!! It was personal and lovely service and they're such a well-oiled machine. From start to finish, it was easy and painless and everything looked incredible! Cathie is STELLAR!!!" 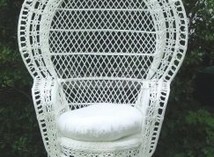 "Our wedding planner and caterer used Connecticut Rental for all of our rental needs for our outdoor September wedding. They were affordable and flexible, even when we weren't sure until last minute whether we wanted to set up the tent or not." "My whole experience with CT rental center was %100 positive, easy and simple. We had an outdoor wedding in my parents backyard and did a lot of it DIY- they had all kinds of stuff to meet our needs. Our sales rep Cathie was incredibly responsive, kind and helpful throughout the entire process. She came and did a site visit and had suggestions for the layout and was able to give us a sample layout to start with as well. Every single time I would email Cathie a question she would get back to me almost instantly- it really put my mind at ease. The delivery guys who set up and took down our tent were incredibly professional, nice and helpful. They even showed up early because I had mentioned that I was concerned about having time for the rehearsal on the same day as the tent set-up. One of the biggest parts of having an outdoor wedding is the tent, and you want people who are reliable and helpful and who you can trust. The last thing you want is to be unsure and worried about what is going to happen. I'm so glad I found CT rental- they're the best!" "For my wedding on May 2, 2015 we rented the Wadsworth Tent (with liner) and a dance floor, and I could not have been happier with CRC. They were very accommodating, quick to reply to my emails, and gave me no problems with setup or teardown. I would recommend CRC to anyone getting married at Wadsworth because they are the only ones that offer the custom tent, which fits the patio perfectly and allows for full use of all the doors." "The staff at Connecticut Rental were such a huge help in our wedding planning. I mainly worked with two ladies. The first really helped us figure out an effective floor plan for our tiny venue. She also put together our initial rental list. She ended up moving on from the company and another lady, Judy, became my main contact. She was equally nice and knowledgeable about the products they offer. She helped us figure out an effective rain plan (which really came in handy) and work out some other details with table cloths, etc. Overall, I recommend this company for all your wedding rentals!" "This place did an excellent job with recommending what I wanted for my dream wedding. All I did was tell them the theme and the woman on the phone helped me in figuring out exactly what I wanted. They were willing to deliver and pick up whenever I needed/wanted them to, and the men that did so were very kind and helpful." "They were so responsive, so easy to work with! Joanne even made a special visit out to our venue to discuss the exact location of the tent & dance floor. Their recommendations were spot-on, their equipment was spotless and beautiful. From the chairs to the tent to the dance floor, everything was flawless and blended in beautifully with our wedding. Their prices were fair, and the service was excellent. Thank you for everything!" "On time, and exactly what we ordered. they made renting very easy." "They were great! They did bring the wrong plates, but they brought the right ones that very next morning so there were no worries! They were so helpful (we rented everything from the tents to the dancefloor, to the tables, and linens from them. They had a great set up for you to look a everything at. Their tent was amazing! It rained horribly on our wedding day and we were outside, but everyone stayed dry!" "CT Rental is the best around. No one better. Our son recently got married and we rented from two different companies...only because CT did NOT have what we needed for a bit of it. NO COMPARISON. CT Rental was on time with everything, easy and fun to work with and the things we rented were beautiful as promised. (The other company was awful. Things were dirty arrived VERY late (2 hours prior to the wedding...etc.....) This is the third time we have used this company and if they do not have what I want in the future, I will change what I want...Hands down, they are the best!" "I haven't had a chance to give them a review yet but I'm so happy I finally had the chance to do so! They did my engagement party in my backyard and what can I say they did a phenomenal job. Everything was on point and the staff was more than friendly. If you have any parties or occasions don't go to anyone else these people are number 1. I had about 250 people and every single one of them was left flawless!!!!!" "Special thank you to Cathie Guiffrida and the Delivery Crew: Thank you so much for your initiation of my contract and tent delivery. My experience with Connecticut Rental for my event was excellent…right down to the delivery/setup/take down of the tent/table/chairs from your three delivery men. They were efficient, courteous, and treated my property like it was their own, which excited me. I even treated them to some homemade chocolate chip cookies as a thank you for their great service. I will definitely use Connecticut Rental in the future for my event needs. Thanks so much and have a great day." 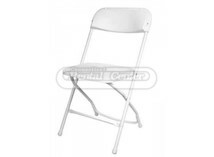 "We have used Connecticut Rental for nearly 20 years to provide tents, chairs, tables, and other items for our annual fairs and other events. The sales staff is very knowledgeable, friendly, and easy to work with. The set-up crew is equally courteous, works in a timely manner, and is very professional. We will continue to use Connecticut Rental for all our future needs." "Joanne, I want to thank you for helping to make Deb's party a great success. 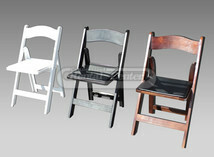 The tables and chairs arrived on time, and got picked up on time as well. Thanks again, could not have done it without you and your companies flexibility." "The tent and rentals were absolutely beautiful and thank you so much for everything." "You were great to work with! From start to finish, you made what I thought was going to be a difficult rental process, very simple! Also, the men who came and delivered and picked up the tables/tablecloths were all very professional and fast!" "Thanks so much for your service, you guys are great!" "Wesleyan University regularly requests items from CT Rental Center of Middletown. The staff at CT Rental Center provides professional, courteous and responsive customer service. They are always there to ensure the quality and success of our events." "Middlesex Hospital has enjoyed an excellent working relationship with Connecticut Rental over many years and countless special events, large and small. We especially value their ability to meet our ever changing needs and their flexibility." "Thank you so much for all of your kind assistance surrounding our backyard baseball-themed rehearsal dinner. It was so easy and such a pleasure working with you! In fact, our rehearsal dinner was the best part of the whole wedding!" "CT Rental provided the tents and most of the tables/chairs/dinnerware for our wedding. We were very pleased with everything. Setup and take down was very easy."